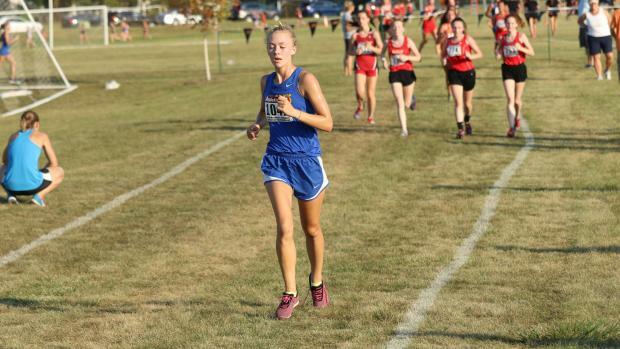 Elena Dansdill is a sophomore at Wheaton North where she runs cross country and competes in middle distance events during track season. Elena will cover meets in the west suburbs and other areas when her schedule allows. She wanted to be a Milesplit intern because she wanted to get hands-on experience working in the media field. An animal that describes Elena is a dog because she loves to be around people. She thinks the best event in track and field is the 800m run. Her favorite sports team is the Chicago Sky, while the food she enjoys most is pasta with a lot of cheese. The best running shoes according to her are made by ASICS, oh she's a member of team iPhone.